Stephen L. Dreyfuss’ practice is concentrated in international business litigation (civil and criminal) and international business transactions, particularly matters involving France and other countries of the European Union. His third undergraduate year at Princeton University was spent in France, where he studied at the Université de Paris and subsequently worked for Kodak-Pathé, the French subsidiary of Eastman Kodak. After graduation from Columbia Law School and a two-year clerkship for a United States District Judge in Newark, he served as Assistant District Attorney for New York County, New York until joining the firm in 1979. In recent years, he has been involved in complex civil and criminal litigation and transactions in securities, banking, antitrust, multimedia and communications, insurance and product liability matters throughout the United States and in Europe. Mr. Dreyfuss is former Immediate Past President of the Paris-based Union Internationale des Avocats, the world’s oldest international association of bars, law societies and lawyers, as well as former Deputy Chief Editor of the UIA magazine Juriste International. He is former UIA Director of Commissions, and former President of the UIA’s Commission on Business Crime. As a member of the New Jersey Bar Association, Mr. Dreyfuss served as Vice-Chair of the International Law and Organizations Section, Chair of its Committee on International Trade and Investments and Vice-Chair of the Antitrust Law Committee. Fluent in spoken and written French, Mr. Dreyfuss is former President and current Executive Vice President and Legal Counsel of the French-American Chamber of Commerce in New York, and speaks frequently on international legal and business issues in the United States and abroad. He is the former Chair of the Advisory Council of the Princeton University Department of French and Italian. In recognition of his contributions to French-American relations, French President Jacques Chirac named Mr. Dreyfuss a Chevalier of the Ordre National du Mérite of the Republic of France in 2003, and in 2014 French President François Hollande named him a Chevalier of the Légion d’Honneur. Mr. Dreyfuss is a member of the Bars of New Jersey, New York and the District of Columbia, and the federal trial and appellate courts in those jurisdictions. Union Internationale des Avocats (Member, Board of Governors, U.S. National Committee, 1994—; Counsellor to International President and Member, International Governing Board, 1997—; Regional Secretary for North America, 1998-2003; Vice President, 1998-2003 and President, 2003-2005, Commission on Criminal Law; Deputy Chief Editor, Juriste International, 2003-2013; Director of Commissions, 2005-2011; Member, Executive Committee, 2005-2015; First Vice-President, 2011-2012; President-Elect; 2012-2013; President, 2013-2014; Former President 2014—). 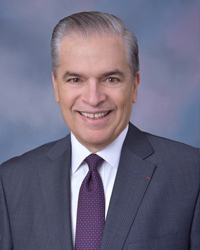 French-American Chamber of Commerce (Member of New York Chapter Board of Directors, 1985—; Secretary, 1987-1991; Vice President, 1991-1999, 2003-2009, Executive Vice President and Legal Counsel, 1999-2003 and 2011— ; Acting President, 2009-2011, and Member, National Board of Directors, 1987—, National Executive Vice President and Legal Counsel, 2003-2009, Acting National President, 2009-2011, and National Vice President, 2011-2017). New Jersey State Bar Association (Vice-Chair, International Law and Organizations Section; Chair, Committee on Transnational Litigation and Arbitration, 1992-1995; Chair, Committee on International Trade and Investment, 1995-1999, 2001-2002; Vice-Chair, 1993-1999, Antitrust Law Committee). Member, 1989-2001 and Chair, 1997-2001, Advisory Council, Princeton University Department of Romance Languages and Literatures. Chair, Advisory Council, Princeton University Department of French and Italian, 2001-2017. Association of the Federal Bar of the State of New Jersey; District of Columbia Bar. Law Clerk to U.S. District Judge, District of New Jersey, 1974-1976. Assistant District Attorney, New York County, 1976-1979. Co-Author, “Special Considerations in Cases Involving Foreign Parties,” New Jersey Federal Civil Handbook, New Jersey Institute for Continuing Legal Education, 1992. Speaker, “Doing Business in Europe and Japan: Competitive Strategies for U.S. Companies,” NJ Institute for Continuing Legal Education, 1994. Speaker, “Doing Business in the European Union: Structure, Institutions and Principles of the Single Market,” The Financial Executives Institute, 1994. Moderator, UIA International Court and Speaker, “Recognition of Foreign Country Judgments in the United States,” 41st Congress of Union Internationale des Avocats, Philadelphia, 1997. Speaker, “Investigation and Defense of Corruption Cases,” Commission on Criminal Law, 42nd Congress of Union Internationale des Avocats, Nice, France, 1998. Moderator, “The Fight Against Corruption v. The Attorney-Client Privilege,” 43rd Congress of Union Internationale des Avocats, New Delhi, 1999. Speaker, “Choice of Law and Choice of Jurisdiction Clauses in International Contracts,” Commission on Private International Law and Moderator, “Money Laundering and the Lawyer,” Commission on Criminal Law, 44th Congress of Union Internationale des Avocats, Buenos Aires, 2000. Moderator, “Organized Crime and International Business,” Commission on Criminal Law, 45th Congress of Union Internationale des Avocats, Turin, Italy, 2001. Moderator, “Market Manipulation, Fraud and Other Abuses of Financial Markets,” Commission on Criminal Law and Speaker, “The Future of the U.S. Lawyer in the 21st Century,” Commission on the Future of the Lawyer, 46th Congress of Union Internationale des Avocats, Sydney, Australia, 2002. Speaker, “The Consequences of the Sarbanes - Oxley Law for French Accountants and Lawyers,” Compagnie des Conseils et Experts Financiers, Paris, 2003. Speaker, “Protection of Confidentiality and Attorney Client Privilege: Are there Common Principles Throughout the World?” 47th Congress of Union Internationale des Avocats, Lisbon, Portugal, 2003. Main Theme Speaker, “Lawyers of the World: A Single Code of Ethics,” 49th Congress of Union Internationale des Avocats, Fez, Morocco, 2005. Speaker, “La Justice et Son Image: Cameras in the Courtroom,” French Association of Women Lawyers, Paris, France, 2005. Speaker and Moderator, “Criminal Procedure at the Crossroads,” 51st Congress of Union Internationale des Avocats, Paris, 2007. Speaker, “Alerte Ethique: Le ‘Whistleblowing,’” Convention Nationale de la Compagnie des Conseils et Experts Financiers, Paris, 2007. Speaker, “Prévention du risque pénal des dirigeants et des entreprises, en France et à l’étranger,” Séminaire Union Internationale des Avocats/Association Française des Juristes d’Entreprise, Paris, April 2016. Speaker, “Quelle coopération entre les procureurs et les entreprises après la loi Sapin 2? Regards croisés franco-américains,” France-Amériques, Paris, March 2017. Speaker, “Les dispositifs légaux de transparence: la lutte anti-corruption en France, en Italie et aux USA,” Séminaire franco-italien, Association des Avocats Conseils d’Entreprises, Turin, Italy, May 2017. Speaker, “Fraude et offshore: la justice civile désarmée ? Regards croisés franco-américains,” France-Amériques, Paris, November 2018. Speaker, “Alstom et la justice américaine: Quelles leçons tirer de cette affaire?” Compagnie des Conseils et Experts Financiers, Paris, December 2018. Speaker, “Effets extraterritoriaux des lois du point de vue américain,” 23ème Séminaire Franco-Allemand, L’Europe dans tous ses états: Les nouveaux enjeux pour l’Europe et le droit européen, Freiburg im Breisgau, Germany, March 2019. Author, “Quel sera l’impact de la prèsidence Trump sur les poursuites américaines d’entreprises étrangères?” Finances et Gestion, April 2017. Author, “Corruption and Bribery of Public Officials in the United States,” Revue Internationale de la Compliance et de l’Ethique des Affaires, December 14, 2017. Author, “Le Whistleblowing aux Etats-Unis: protection des lanceurs d’alerte en droit américain,” Cahiers de Droit de l’Entreprise, no. 1, January - February 2018. Author, “American Extraterritoriality: A Contrarian View,” La Revue des Juristes de Sciences Po, No.16, January 2019.